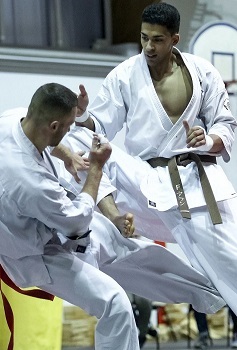 1/4 final action from The 1st International Fullcontact Karate Championship! JFKO continues to share videos from The 1st International Fullcontact Karate Championship, and the quarterfinals from the heaviest category attracts our attention. The level among the fighters is very high, and at this stage they had fought 3 or 2 fights. The 1st IFKC – Full contact karate – as it is supposed to be! The 1st International Fullcontact Karate Championship, Full contact karate – as it is supposed to be! Ahead of the tournament one could imagine – or hope that the tournament would be an extension from the JFKO All Japan Open, and all ready at that point it would be a very good start. 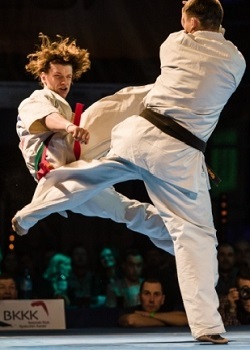 But as we now know, the tournament became a highlight and a display of how the Full Contact Karate are different – but the same..
Top performer from one of the strongest nations, and a complete athlete with top skills in fight as well as Kata. Been top three for many years in the European Championship region, European Champion and winner of several Open tournaments. Strong with good impact in her techniques, and ended fights before full time more than one time. Became the kwu World Champion in 2017, and this spring 3rd place in Kata in the European Shinkyokushin Championship. The annual New Year’s training is completed. 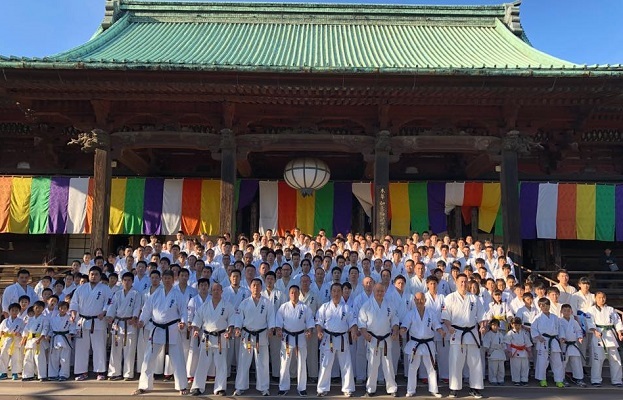 The training was led by WKO Shinkyokushinkai its own president, Midori Kenji Shihan 8.Dan. 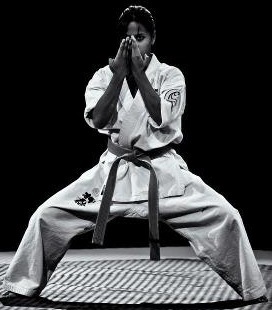 During the training top Shinkyokushinkai Karatekas preformed demonstration at top level with Kata and Kumite. 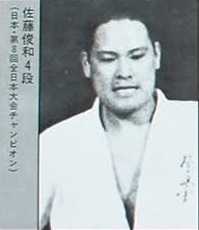 Midori Kenji Shihan led the Hihon session before a Kumite demonstration by World Champion Yuji Shimamoto and vice World Champion Kembu Iriki.